Before I go into the tips, let me just tell you that there are amazing local organic turnips at the farmers’ market, for making pickles, for stuffing, for roasting and making turnip sauce… The quality of turnips I find there is unmatched! It is the height of the season and the varieties of produce and leaves there is just fantastic! If you have not been shopping there yet, really, don’t miss out on this amazing opportunity to bring good quality organic ingredients, the freshest possible and all these fantastic flavours back to your kitchens. Every Friday from 8-1 and I am there too, selling my Mooneh, which am telling you sells out fast, so do come early. Where I come from spring is all about the flowering and the green leaves. The kitchen gets dressed with green and our plates undoubtedly look like spring. It is after all the season where the brown earth, the empty tree branches are back in their greenest, freshest and most delicately delicious state. Green symbolises life – new life, young life – and in the kitchen it could not be more true. Because it is the season where this colour comes in, giving new life and new energy to our menus and our varieties, making up for the more limited, noticeably heavier, deeper, and more mature flavours and tones of winter. The kitchen is never as vibrant and alive as in Spring and it is a real waste not to make the best of this season and all its produce. A total miss if we don’t stop to appreciate, not just the greenness of it all but also the delicateness of the flavours of spring. Because everything is brand new, and even a thorny plant as the Gundelia Thistle, which we know as Akub (fully explained in my book “Plated Heirlooms“) is easy to clean and lenient to being a food as opposed to the ones that make it to summer, hardened by the heat, or perhaps the age, definitely more stubborn, more prickly, more demanding and therefore less desired! Spring is the season of the most generous forms of giving: that of the earth. My mum always told me, as I am sure yours did too, “when given a gift, you must show appreciation” and the best way to do that in spring is to ‘cook in celebration of spring’. Seasonal Cooking is, to me, the best form of cooking. Not only because the produce is at its best, its most abundant, most delicious… although that definitely rests the case. But because seasonal eating allows us to miss produce when it goes out of season. To miss munching and crunching on a cold watermelon during the cold, sunless days, and miss dipping our bread in stir-fried Wild Mallows (Khubbeizeh) with that sprinkling of lime or dipping into the Hedge Mustard Leaves (Hweirneh) mixed with yogurt on that sunny morning with a cool breeze carrying away the cold of winter bringing in the early rays of summer that are yet too weak to completely warm the morning. And when we don’t miss the produce, when it is always available we just tend to forget how good it is. We forget how much we love it, and we can easily waste it. Seasonal eating is perhaps that way the deepest form of appreciation. In Palestinian Cuisine, There is a huge section dedicated to “the foods of Spring” and is even named as such. A very big part of that is all about the green leaves. And because these leaves are young, fresh and so delicately flavoured, which also applies to spring vegetables, you really do not want to mask their delicate flavours. You really do not want to interfere too much and ruin a good thing and as such I thought to share with you my “Spring Cooking Secrets” or let’s call them tips and hopefully you will try them and see how tremendously this improves your spring collection of recipes bringing out the flavour of each vegetable, leaf or even spring meat that you end up cooking! 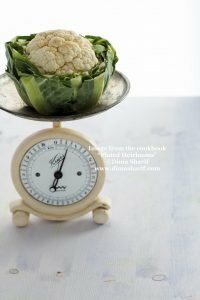 Overcooking changes the textures of food. Spring is young, crunchy and very fresh, keep those adjectives in mind when cooking. Undercook and keep the characteristic of your vegetables, leaves and even meats. Serve the meat pink, the vegetables crunchy and the leaves with a bite. Do not wilt them to death, nor cook them to a mash or roast them to melt. Spring foods are young, light and shallow in flavours. Keep them as such and you will taste each and every component. Keep it Simple, resist the urge to interfere. The easiest, fastest and most delicious way to cook spring leaves is by sauteing chopped onions in olive oil, seasoned with salt and black pepper until translucent but not browned. Once done cooking add the leaves and stir for exactly 2 minutes then serve. For extra flavour, if you must, try: sumac, finely chopped fresh coriander, rosemary, stir fried garlic or caramelised onions. 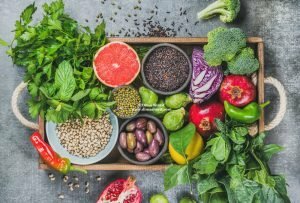 There is no better time for raw food lovers than in spring. The produce is delicate, flavorful and really hardly needs any cooking. A simple dressing can cook it enough. Not only is raw food delicious, but it is also good for you and helps you cleanse. You do carry out a spring cleaning of your house, don’t you? Well your body could use one too! Add as much green to your food as you can. Use the fresh herbs for flavour, use the just starting to settle new season olive oil, go for spring onions instead of the other varieties and go for fresh garlic instead of the aged ones. Add those to leaves, add the leaves to salads, mix them with seeds and/or your favourite grains and have these super foods, which will supply you with the much missed Chlorophyll for the whole year! Green is also iron, think baby spinach add it to even your sandwiches and see how a simple smoked salmon sandwich transforms over a bed of baby spinach! While you are at it, aim for local, less travelled, and go for the source, this way you add green to your food sourcing which helps keep our earth good to give us another spring. Eat only fresh at the beginning of the season and preserve towards the end. The freshness gives you an unmatched flavour the preservation ensures a treat out of season. It really is a win win situation. Here are some of the season’s offerings to follow (of course according to where you live). Most of the below produce become available at the beginning of the season and last throughout the whole season but are at their best in the indicated months. 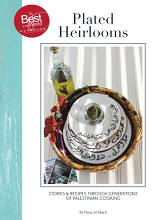 Get my book Plated Heirlooms and explore the wide variety of spring foods and varied recipes for the different seasons. You can order your copy here, and we ship worldwide.